Many students started their first day of school this week including Augusta County. Some will start back after Labor Day. This week was also the first day of school for many homeschool students … and that’s where my mind wandered this week as I remembered sixteen years of “first day of school” classes with my children. We had no bus to catch, no lunch to pack, no specially-requested school supplies to buy. Teaching with the Calvert curriculum in grades K-8, all supplies were included so no trips to the store were necessary for particular items. Calvert had it down to a science because they supply curricula for families around the world … students living on sailboats with their parents, missionaries in remote areas of the globe, and even those of us who were simply teaching our children here in the United States. For a child, there’s something special about a new pad of writing paper, box of crayons, drawing paper, freshly sharpened pencils, books, work books, and even a new ruler. I would add extras for my classroom … glue sticks, glitter, craft supplies, additional reading books, and personalized items for each of my children to make it a special, never-to-be-forgotten day to kick off a special, never-to-be-forgotten year. I also decorated the school room and made it a new, exciting place for the new year … new posters, maps, visuals, and additional items that were added throughout the year with each season. For fall I would tape a three-foot tall tree on the wall and the kids would cut out and color leaves to add to it as I read story books out loud. Thanksgiving would have hand-crafted turkeys followed by Christmas, winter, Valentine’s Day, and other special times of the year. Six things remained the same year after year. Our classroom always had a Bible, the American flag, and posters on the wall with the Declaration of Independence, the Constitution, the Bill of Rights, and the Ten Commandments. Maps of the United States and Virginia were part of our geography. When my son was in the early elementary years and my daughter was a pre-schooler, she had her own “work station” complete with drawing paper, crayons, cut-out alphabet letters, Play-Doh, coloring books, manipulatives, and toys. It made her feel included in the school day. We started back in September so mid- to late-August was spent each year working on lesson plans. While the kids swam in the small pool in our back yard, I would sit at the picnic table in the shade of a nearby tree and set up our schedule for the year. Calvert provided a laid-out lesson plan but I always deviated from it, adding and rearranging and working in extra activities to fit our family. That was the beauty of home education. For the first day of school, I would wait until the kids went to bed the night before and then set up the school room for our first day. It added to the surprise and allure of a new year and, the next morning, they would pop out of bed, get dressed, eat breakfast, and then we’d head for the school room. It was almost like Christmas with big eyes and oohs and ahhs as they admired the new school accessories, picking up and examining a tablet or book or tube of glitter. And so our school year began. Since it was September and the days were beautiful leading into autumn, we would often move outdoors onto a blanket in the shade to read out loud, or hike down to the farm pond to look for aquatic life — guppies, frogs, turtles, fish — that we read about in the science books. Searching for specific tree leaves was a favorite as they gathered a variety of species in our own nature scavenger hunt. Some days we would pack a lunch and the school books and head for the nearby Blue Ridge Parkway where we would do school activities around a picnic table or search for creek critters for biology. After moving to Virginia, we would do the same and head to the Skyline Drive, eating lunch at a picnic area and then becoming Junior Park Rangers for the afternoon, looking for animal tracks and wildflowers and insects. But the first day of school would kick it off each year, preparing us for those adventures in teaching, in learning, in exploring and expanding our horizons. I learned as much as the kids, and I believe we are all better for it. It was the right choice for my family, and I was willing and, thankfully able, with the backing of a supportive husband, to give 24/7 to my children who are now college grads, married, and have homes of their own. Lynn Mitchell educated her children at home for 16 years and was part of leadership in North Carolina’s Iredell County Home Educators (ICHE) and Virginia’s Parent Educators of Augusta County Homes (PEACH). Her son graduated from Harrisonburg’s James Madison University (JMU) in 2007 with a BS in Computer Science and a minor in Creative Writing. Her daughter graduated from Staunton’s Mary Baldwin University in 2012 with a BS in Sustainable Business and Marketing. Lynn and her husband live in Augusta County located in the beautiful Shenandoah Valley of Virginia. Anyone who knows me knows I homeschooled my children for 16 years and, during that time, served as newsletter editor with our homeschool group in North Carolina. Later, after moving back home to Virginia, I served in leadership for eleven years with PEACH — Parent Educators of Augusta County Homes — as president, newsletter editor, teen coordinator, field trip coordinator, secretary, and anything else that was needed, working together with a group of dedicated moms. Even though my days of teaching at home are over — my oldest graduated from James Madison University in 2007 and my youngest graduated from Mary Baldwin College as part of the Class of 2012 — I never lost contact with the homeschool community. I keep up with issues that concern them, government regulations that may affect them, and read articles from moms who are just beginning or in the middle of their homeschool journeys. Today I read an article that oh-so-hit-the-nail-on-the-head. It was passed along by a homeschool mom friend who used to be in PEACH but moved a few years ago to Georgia and is still teaching at home. The article had been written by a Texas homeschool mom who had just begun the homeschool journey with her four children. Out of all the questions of why and how that came from people throughout the years — why do you homeschool? how can you stand to spend all that time with your children? how can you afford it? where do you find the patience? — this mom answered in one of the best ways I’ve heard. Homeschooling “works” for our family because we make it work. It is a priority. A calling. Even a conviction. Because of our commitment to homeschool, there are many other things we aren’t involved in, don’t spend our money on, don’t invest our time into. Not because some of these “other things” are bad, but because they would rob us of these precious years to nurture and train our children. I can only homeschool my children once in my lifetime and theirs. Now is that time. It is up to me, and to my husband, to make these days count. For eternity. This is why I choose to get up every morning, sit down at our dining room table, and teach my children in the best way I know how. 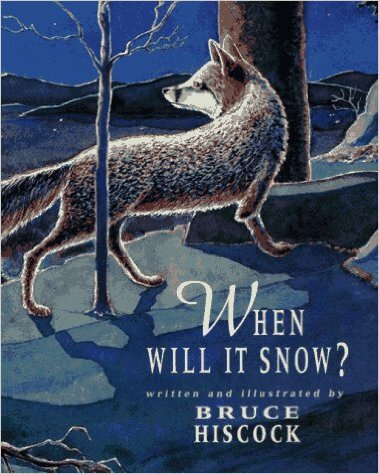 Meanwhile, I’m longing for a really good snow, and that made me think of a children’s book that was a Christmas gift to nine-year-old daughter Katy for our first Christmas in the Shenandoah Valley in 1996. I had the pleasure of educating my children at home for sixteen years until they both graduated from homeschool high school. They graduated from university and now have homes of their own but I remember with fondness homeschooling at this time of year. Autumn was one of our favorite times and we would decorate the house with hand-made pumpkins, ghosts, and leaves. Outside we would hang decorations in small trees, and play in fallen leaves. Carving a pumpkin jack-o-lantern was always a special event that took place on the front porch in the cool October weather, usually accompanied by a fall supper. In our classroom, I would cut out a construction paper brown tree trunk about four feet tall and tape it to the wall, and the kids would decorate cut-out autumn leaves — maple, oak, elm — to put on the tree. Each day as I read out loud from a favorite book, they would color and decorate a few more leaves and tape them to the autumn tree. I probably miss reading out loud with my young children more than anything else. We devoured books of all kinds, and poetry. One of our favorite poets was Robert Frost and every season we would read his words describing spring, winter, fall, or summer. 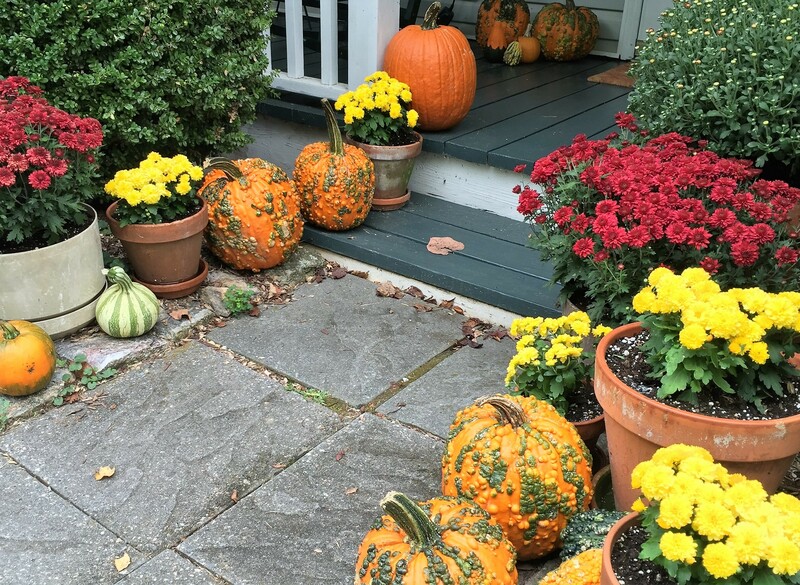 This year pumpkins and mums are on the front porch … gourds are in baskets … decorations are throughout the house … but there’s no fall tree on the wall or reading out loud as in the past, or decorations on an outside tree placed there by little hands. But I pulled out the poems today and remembered … and read “Little Orphant Annie” out loud just as I did for so many years. I could almost hear two young voices join in the last verse, “An’ the Gobble-uns ‘at gits you ef you don’t watch out!” Ah, memories. Lynn Mitchell educated her children at home for 16 years and was part of leadership in North Carolina’s Iredell County Home Educators (ICHE) and Virginia’s Parent Educators of Augusta County Homes (PEACH). Her son graduated from Harrisonburg’s James Madison University (JMU) in 2007 with a BS in Computer Science and a minor in Creative Writing. Her daughter graduated from Staunton’s Mary Baldwin University in 2012 with a BS in Sustainable Business and Marketing. Lynn and her husband live in Augusta County in the beautiful Shenandoah Valley of Virginia. Many students started their first day of school this week while others began classes in August. It was also the first day of school for many home school students … and that’s where my mind wandered this week as I remembered sixteen years of “first day of school” classes with my children. We had no bus to catch, no lunch to pack, no specially-requested school supplies to buy. Teaching with the Calvert curriculum in grades K-8, all supplies were included so no trips to the store were necessary for particular items. Calvert has it down to a science because they supply curricula for families around the world … students living on sailboats with their parents, missionaries in remote areas of the globe, and even those of us who were simply teaching our children here in the United States. I also decorated the school room and made it a new, exciting place for the school year … new posters, maps, visuals … and items that were added throughout the year with each season. For fall I would tape a three-foot tall tree on the wall and the kids would cut out and color leaves to add to it as I read story books out loud. Thanksgiving would have hand-crafted turkeys followed by Christmas, winter, Valentine’s Day, and other special times of the year. Mid- to late-August was spent each year working on lesson plans. While the kids swam in the small pool in our back yard, I would sit at the picnic table under a nearby tree and set up our schedule for the year. Calvert provided a laid-out lesson plan but I always deviated from it, adding and rearranging and working in extra activities to fit our family. That was the beauty of home education. For the first day of school, I would wait until the kids went to bed the night before and then set up the school room for our first day. It added to the surprise and allure of a new year and, the next morning, they would pop out of bed, get dressed, eat breakfast, and then we’d head for the school room. It was almost like Christmas with big eyes and oohs and ahhs as they admired the new school accessories, picking up and examining a tablet or book or glitter. And so our school year began. Since it was September and the days were beautiful leading to autumn, we would often move outdoors onto a blanket in the shade to read out loud, or hike down to the farm pond to look for aquatic life — guppies, frogs, turtles, fish — that we read about in the science book. Searching for specific tree leaves was a favorite as they gathered a variety of species in our own nature scavenger hunt. Some days we would pack a lunch and the school books and head for the nearby Blue Ridge Parkway where we would do school activities around a picnic table or search for creek critters for biology. After moving to Virginia, we would do the same and head for the Skyline Drive, eating lunch at a picnic area and then becoming Junior Park Rangers for the afternoon, looking for animal tracks and wildflowers and insects. But the first day of school would kick it off each year, preparing us for those adventures in teaching, in learning, in exploring and expanding our horizons. I learned as much as the kids, and I believe we are all better for it. It was the right choice for my family, and I was willing and, thankfully able, with the backing of a supportive husband, to give 24/7 to my children who are now 20-something adults. As I read Ralph Waldo Emerson’s quote this morning, my mind drifted back to the sixteen years we educated our children at home. Talk about going where there is no path and leaving a trail! A tip of my hat to those homeschool pioneers who were there years before I joined up in 1990. I read books about their battles with school and state officials in various locations across the country, and was grateful for the tenaciousness and willingness of those faithful parents to basically lay it all on the line, plowing that path for those of us who followed. In Virginia, Delegate Rob Bell’s parents were pioneers in that movement, and local homeschool friends whose kids are now grown had been involved in the South Carolina movement. It’s almost the end of July and my mind wanders back to the days of educating my children at home and this familiar time of year when thoughts turned to the new school year. 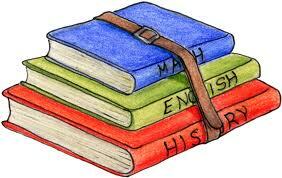 Thankfully, I was able to set my schedule, and I chose to start back to school after Labor Day. Unscheduled warm summer days were for enjoying the activities that there’s little time for once the school schedule kicked in with lessons, gymnastics, baseball, soccer, co-op classes, writing club, and my leadership responsibilities within the local homeschool group. Summer was for hiking, exploring, swimming, biking, traveling, camps, visiting grandparents, sleepovers with friends, summer sports, camping and campfires, and anything else we wanted to do in the slowed pace of long days, short nights, and hot weather. The first of August I would order our curriculum for the upcoming school year and it was usually delivered within a week. As the kids played outdoors in the pool on those hot August days, I would sit at the picnic table under the nearby shade tree, unpack the box of curricula, spread out my weekly lesson planner, and begin laying out our study schedule. The smell of chlorine mixed with the loud sound of cicadas humming all around while the warm breeze stirred the leaves above me. In the background, the kids were splashing and laughing and doing exactly what I wanted them to do — squeeze every minute of fun out of their vacation time. It was a routine year after year after year. It is December 10 and we haven’t seen even one snowflake in western Augusta County, Virginia. The weather this week is mild for this time of year — the forecast calls for upper 60s — and we are hearing that El Nino is affecting the East Coast. During the years I served as newsletter editor for Parent Educators of Augusta County Homes, I would often use quotes, and one of my favorite was the one above by Virginia Founding Father Thomas Jefferson. While these days it means more for political reasons, during my days in homeschool leadership it pertained more to our religious differences. Among those who had made the decision to educate their children at home were a wide range of religious beliefs. If we concentrated on those, we would devolve into disagreements about how the group should run and narrow our focus from the group’s purpose. 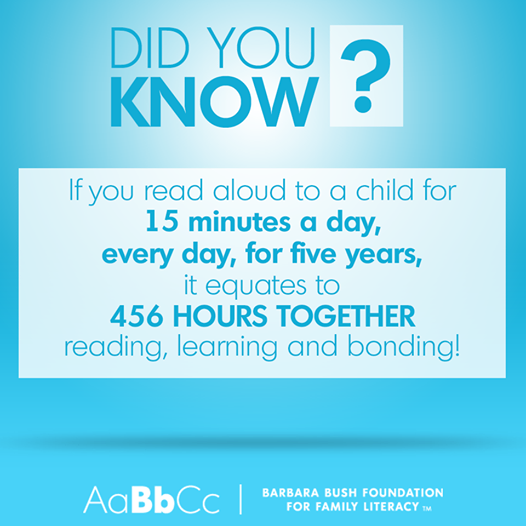 My kids and I spent much more than 15 minutes a day reading out loud over the 16 years that I had the wonderful opportunity to educate them at home. We read countless books out loud at home by the wood stove in winter and outdoors in the yard during the summer, while picnicking and camping along the Skyline Drive and Blue Ridge Parkway, at the Outer Banks, traveling across the country to Colorado and Wyoming — anywhere and everywhere, and the memories are priceless. Read, learn, bond. Lynn Mitchell educated her children at home for 16 years and was part of leadership in North Carolina’s Iredell County Home Educators (ICHE) and Virginia’s Parent Educators of Augusta County Homes (PEACH). Her son graduated from Harrisonburg’s James Madison University (JMU) in 2007 with a BS in Computer Science and a minor in Creative Writing. Her daughter graduated from Staunton’s Mary Baldwin College in 2012 with a BS in Sustainable Business and a minor in Marketing. Lynn and her husband live in Augusta County located in the beautiful Shenandoah Valley of Virginia. The story of how she began her homeschool journey can be found here (see Back in the homeschool classroom: Blazing new trails). Back in the homeschool classroom: Did Terry McAuliffe understand the ‘Tebow Bill’ he vetoed? Virginia homeschoolers were disappointed when Governor Terry McAuliffe vetoed the “Tebow Bill” — a homeschool sports access bill — after years of working to get its passage in the General Assembly. In 2013 Education Week reported, “Four out of five Americans believe homeschooled students should have the opportunity to participate in public school sports, according to a new poll from Gallup and Phi Delta Kappa” (see Public Supports Homeschool Students Playing Public School Sports). The latest proposal … still presents an opening for school districts to elevate success in sports ahead of enrollment in an academic community, paving the way for home-schooled students to do as Tebow did a decade ago, when he and his family shopped for a public-school football team that would accommodate his big arm. I hate to burst the Virginian-Pilot’s bubble (well, actually, I’m happy to burst it) but very few homeschool families would feel compelled to cherry-pick a location for their children to play sports. Even fewer homeschool families could afford to go to such lengths as to move part of the family because most live frugally on one-income salaries. That argument is projecting a scare factor that just is not there. The heavy lifting has been done. Delegate Rob Bell has seen to that. All that is left is for homeschoolers to email Governor Terry McAuliffe to encourage him to sign HB 1626 — the “Tebow Bill” — to allow homeschoolers to participate in sports and other competitive events such as forensics and band. The view out our window on February 6, 2010. Back in the home school classroom … one of our favorite winter interests during the years we educated at home was the study of “Snowflake” Bentley. He took the cold of winter and exposed the beauty of individual ice crystals that made up snow, teaching us that no two snowflakes are alike. Each is different … each is unique … each is special … all are beautiful. 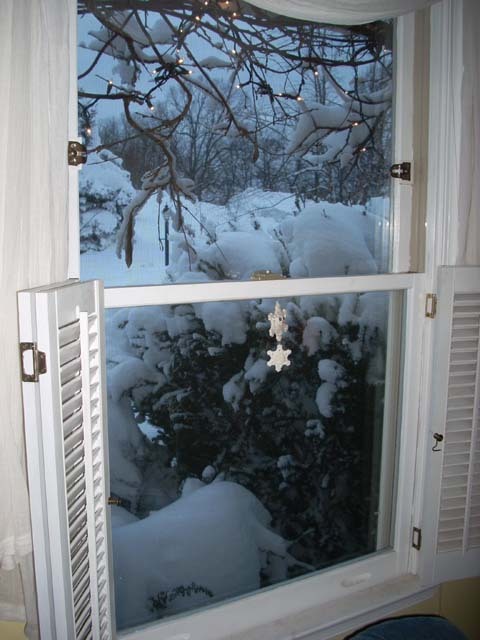 This was the view out our window in February 2010 as we looked into the world of “Snowflake” Bentley…. Apparently there is a homeschool bill in the General Assembly to rectify an issue that I don’t understand. Parents who decide to begin homeschooling after February 1 are still required to do end-of-year testing with their homeschooled children and turn in the results to local school officials. Students may not score below the fourth stanine. If the child does not show adequate progress, parents could be put on probation and required to file an acceptable remediation plan, or else face the possibility of being told to stop teaching their children at home. If a child has attended public school or another teaching institution August through January — that’s 5.5 months — and a parent will pick up the reins and teach February through end of the year, say end of May — that’s 4 months — why isn’t a poor showing a reflection of the previous learning institution, and not a reflection on the just-started-teaching-at-home parent? Why is this even an issue? Am I missing something?